Promote your next Treasure Valley event with the Boise Flyer! 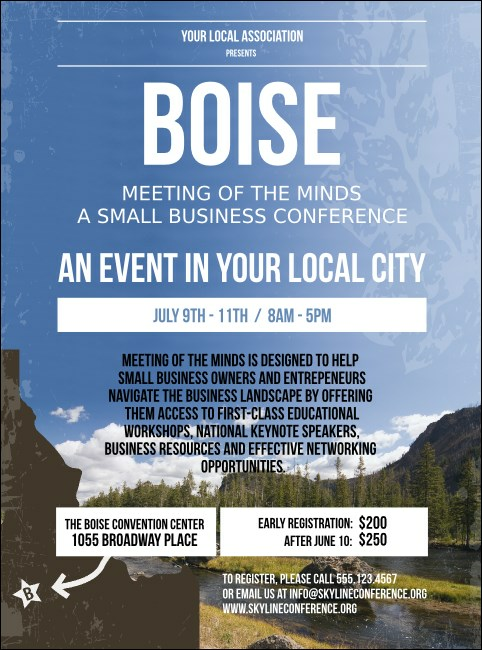 With scenic images of the Boise River with the big, blue sky, this flyer will attract attention to your conference, concert, or fundraiser. From West Boise to the Bench, promote your next event with this beautiful eye-catching flyer! Follow the Oregon Trail to TicketPrinting.com!